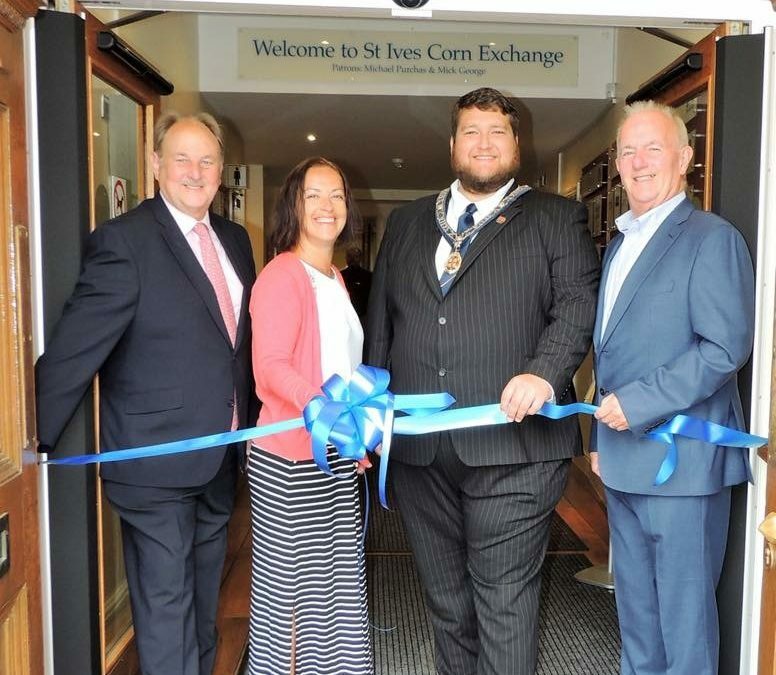 On Monday 14th August St Ives Corn Exchange opened its newly automated double doors. Automatic operation of the inner front doors will make access into the Corn Exchange much easier and safer for everybody. But the more elderly and less mobile members of the community will benefit especially, as will parents with babies and young children. A substantial saving in heating costs is also expected, by not having to keep the doors always open at busy times on colder days in the year. These access improvements were jointly funded by the Corn Exchange Community Interest Company ( CIC ) and Friends organization ACE. In one typical week in May the total number of people counted through the doors topped 3,500. Alone on the Monday the number was over 1,300.